On 13 September 2017, more than 40,000 people witnessed the successful debut of the football club RasenBallsport Leipzig (RB Leipzig) in the UEFA Champions League (UCL) against AS Monaco. In the eyes of many supporters of the German club, the mere fact of being able to participate in the UEFA's flagship club competition was probably more important than the result of the game itself. This is because, on the pitch, RB Leipzig secured their place in the 2017/18 UCL group stage already on 6 May 2017 after an away win against Hertha Berlin. However, it was not until 16 June 2017 that the UEFA Club Financial Control Body (CFCB) officially allowed RB Leipzig to participate in the 2017/18 UCL alongside its sister club, Austrian giants FC Red Bull Salzburg (RB Salzburg). As is well known, both clubs have (had) ownership links to the beverage company Red Bull GmbH (Red Bull), and therefore it came as no surprise that the idea of two commonly owned clubs participating in the same UCL season raised concerns with respect to the competition's integrity. The phenomenon of multi-club ownership is nothing new in the world of football. As will be seen below, the English company ENIC plc. (ENIC) established itself as a pioneer in this type of business activity, having acquired in the late 1990s, through subsidiaries, controlling interests in several European clubs, including SK Slavia Prague in the Czech Republic (Slavia), AEK Football Club in Greece (AEK) or Vicenza Calcio in Italy (Vicenza). Apart from ENIC and Red Bull, a more recent example of a global corporation investing in multiple football clubs worldwide is the City Football Group owned by Sheikh Mansour bin Zayed Al Nahyan. In August 2017, the City Football Group acquired 44.3% stake in Girona FC, a Spanish club that had just been promoted to La Liga for the first time in their history, thereby adding a sixth club to its portfolio consisting of Manchester City, New York City, Melbourne City, Yokohama Marinos (Japan) and Club Atlético Torque (Uruguay). Private individuals may also become owners of two or more football clubs, the most prominent examples being Giampaolo Pozzo and his son Gino who are in possession of the Italy's second oldest club Udinese Calcio and the English top-flight club Watford FC respectively, or Roland Duchâtelet, a Belgian millionaire whose dubious management of his five clubs, namely Charlton Athletic (England), Carl Zeiss Jena (Germany), AD Alcorcón (Spain), Sint-Truiden (Belgium) and Újpest FC (Hungary), has been met with considerable opposition. Moreover, clubs themselves have acquired stakes in other clubs, including, for instance, Atlético Madrid's investment in RC Lens (France) and Club Atlético de San Luis (Mexico), or AS Monaco's recent takeover of the Belgian second-division club Cercle Brugge. Leaving commercial and marketing aspects aside, the investment in multiple football clubs is often driven by the vision of recruiting talented players at low cost, preferably in Latin American or African countries, and subsequently facilitating their development in smaller European clubs to prepare them for the level required at the lead club. Hence, should Manchester City discover in Uruguay a 'new Luis Suárez', it will not take much effort (and money) to convince such a player to join the academy of Club Atlético Torque, especially if he is promised further development at language-barrier-free Girona and sees himself wearing the Citizens' sky blue shirt one day. Along these lines, it could well be argued that the phenomenon of multi-club ownership in fact creates a supply chain for talent. For reasons suggested above, qualification for a UEFA club competition is normally not the primary objective of clubs like Girona, which find themselves somewhere in the middle of this supply chain. This at least partially explains why, to the best of my knowledge, only twice the prospect of two or more commonly owned clubs participating in the same UEFA club competition became so imminent that it required UEFA's direct intervention. The first intervention dates back to May 1998 when the UEFA Executive Committee adopted a landmark rule entitled 'Integrity of the UEFA Club Competitions: Independence of the Clubs' (Original Rule) in response to Slavia and AEK, both under ENIC's control, having qualified for the 1998/99 UEFA Cup. The Red Bull case, for its part, revolved around the interpretation of 'decisive influence in the decision-making of a club', a concept that could not be found in the Original Rule. Against this background, this two-part blog will focus on the UEFA rule(s) aimed at ensuring the integrity of its club competitions. 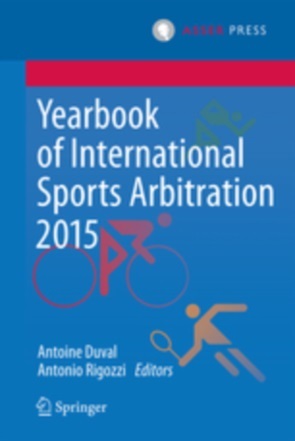 The first part will take a closer look at how the Court of Arbitration for Sport (CAS) and the European Commission (Commission) dealt with ENIC's complaints alleging that the Original Rule was incompatible, inter alia, with EU competition law. The second part will then examine the relevant rule as it is currently enshrined in Article 5 of the UCL Regulations 2015-18 Cycle, 2017/18 Season (Current Rule) and describe how the CFCB Adjudicatory Chamber interpreted the aforementioned concept of decisive influence in the Red Bull case. Finally, in light of the conclusions reached by the CFCB Adjudicatory Chamber, the second part of this two-part blog will discuss whether any modification of the Current Rule is desirable. It has already been noted that the adoption of the Original Rule was prompted, first and foremost, by the fact that ENIC-controlled Slavia and AEK qualified on sporting merit for the 1998/99 UEFA Cup. However, what needs to be added is that the initial impulse came a season before, when Slavia, AEK and Vicenza all reached the quarter-final of the UEFA Cup Winners' Cup. Although UEFA was fortunate that time as the clubs were not drawn to play against each other and only Vicenza advanced to the semi-final, it learnt its lesson and as a result of this situation adopted robust rules aimed at ensuring the integrity of its club competitions. The Original Rule made admission to the UEFA club competitions conditional upon fulfilment of three specific criteria. First, a club participating in a UEFA club competition must have refrained from (i) holding or dealing in the securities or shares; (ii) being a member; (iii) being involved in any capacity whatsoever in the management, administration, and/or sporting performance; and (iv) having any power whatsoever in the management, administration and/or sporting performance of any other club participating in the same UEFA club competition. Second, the Original Rule stipulated that no person could be simultaneously involved in any capacity whatsoever in the management, administration and/or sporting performance of more than one club participating in the same UEFA club competition. Third, an individual or legal entity was prohibited from exercising control over more than one club participating in the same UEFA club competition. The Original Rule further clarified that an individual or legal entity was deemed to have control over a club, and thus the third criterion was not satisfied, where he/she/it (i) held a majority of the shareholders' voting rights; (ii) was authorized to appoint or remove a majority of the members of the administrative, management or supervisory body; or (iii) was a shareholder and single-handedly controlled a majority of the shareholders' voting rights. In principle, under this third criterion, it was permissible for an individual or legal entity to hold up to 49% of the shareholders' voting rights in multiple clubs participating in the same UEFA club competition. It was the third criterion that was applicable to ENIC, a company listed on the London Stock Exchange. Given that both Slavia and AEK were owned as to more than 50% by ENIC, the respective criterion was not satisfied. Consequently, the Committee for the UEFA Club Competitions, a body responsible for monitoring fulfilment of the aforementioned criteria, ruled that only Slavia was eligible to take part in the 1998/99 UEFA Cup on account of its higher club coefficient. Not content with this decision, Slavia and AEK filed a request for arbitration with the CAS on 15 June 1998, challenging the validity of the Original Rule, inter alia, under Articles 81 and 82 of the Treaty Establishing the European Community (TEC) (now Articles 101 and 102 of the Treaty on the Functioning of the European Union (TFEU)). On the same day, the clubs also lodged a request for interim relief which was eventually granted on 16 July 1998. As a result, UEFA was barred from giving effect to the Original Rule for the duration of the arbitration procedure and both Slavia and AEK were given the green light to participate in the 1998/99 UEFA Cup. On 20 August 1999, the CAS rendered its award in which it upheld the validity of the Original Rule and allowed UEFA to apply the rule in question as of the 2000/01 season. Before embarking on a comprehensive analysis of the compatibility of the Original Rule with EU competition law, the Panel recognized that participation of two or more commonly owned clubs in the same UEFA club competition creates fertile ground for conflicts of interest, and thus ''represents a justified concern for a sports regulator and organizer''. The Panel then confirmed that EU law was applicable to the case before it as the Original Rule could not benefit from any 'sporting exception'. That being clarified, the Panel moved on to examine the relevant market potentially affected by the Original Rule. It defined the relevant product market as the ''market for ownership interests in football clubs capable of taking part in UEFA competitions'' which would include, on the supply side, ''all the owners of European football clubs which can potentially qualify for a UEFA competition'', and, on the demand side, ''any individual or corporation potentially interested in an investment opportunity in a football club which could qualify for a UEFA competition''. The relevant geographic market, for its part, was confined to the territories of national football federations affiliated to UEFA. Article 81 TEC (now Article 101 TFEU) prohibits ''all agreements between undertakings, decisions by associations of undertakings and concerted practices which […] have as their object or effect the prevention, restriction or distortion of competition within the internal market''. While it is evident that UEFA could be classified as an undertaking or an association of undertakings (representing national football federations) within the meaning of Article 81 TEC, it is less clear whether UEFA could also be regarded, through national football federations representing both professional and amateur clubs, as an association of 'club undertakings'. This question is of crucial importance because if UEFA was not to be regarded as an association of 'club undertakings', the Original Rule would not be considered as the product of a horizontal collusion between clubs and, as a result, would fall outside the scope of Article 81 TEC. The role of UEFA in such a case would not go beyond a mere sports regulator. In this context, Advocate General Lenz insisted in the Bosman case that even though national football federations encompass a sheer number of amateur clubs not engaged in economic activities, this does not alter the conclusion that (i) national football federations are to be regarded as associations of undertakings in accordance with Article 81 TEC; and consequently that (ii) UEFA, through these national football federations, is to be regarded as an association of 'club undertakings'. Although not entirely persuaded by the respective argument, the Panel assumed for the purposes of conducting an analysis under Article 81 TEC that the Original Rule represented a decision by an association of 'club undertakings' and, as such, did not fall outside the scope of Article 81 TEC. The Panel then turned to the question lying at the heart of the dispute, that is, whether the Original Rule had as its object or effect the prevention, restriction or distortion of competition within the internal market. It found that the Original Rule was only designed to ''prevent the conflict of interest inherent in commonly owned clubs taking part in the same competition and to ensure a genuine athletic event with truly uncertain results'', thereby excluding any anti-competitive object of the Original Rule. With respect to the effect of the Original Rule, the Panel asserted that even though the rule in question may have discouraged an owner who had already been in possession of a high-level European club from acquiring controlling interest in another such club, its overall effect was pro-competitive in that it enabled more undertakings to enter the relevant market, and thus stimulated investment in professional football. Moreover, the Panel was concerned that, in the absence of the Original Rule, high-level European clubs would potentially be concentrated in few hands which would, in turn, lead to an increase in prices for ownership interests in those clubs. Having found that neither the object nor the effect of the Original Rule was anti-competitive, the Panel was further not required to pronounce itself on whether the Original Rule was necessary and proportionate to the legitimate aim pursued. Yet, it held that the Original Rule was ''an essential feature for the organization of a professional football competition and [was] not more extensive than necessary to serve the fundamental goal of preventing conflicts of interest''. In a similar vein, the Panel could not identify any plausible less restrictive alternative to the Original Rule, and therefore it declared that the Original Rule was proportionate to the stated aim of preventing conflicts of interest. Based on the above considerations, the Panel ultimately concluded that the Original Rule was compatible with Article 81 TEC. Article 82 TEC (now Article 102 TFEU) prohibits abusive conduct by companies that have a dominant position on a relevant market. Since UEFA cannot become an owner of a football club, the Panel maintained that it was not present on the relevant market for 'ownership interests in football clubs capable of taking part in UEFA competitions', and for that reason UEFA could not be held to enjoy a dominant position. Accordingly, the Panel concluded that the Original Rule did not violate Article 82 TEC. In the wake of the CAS award, ENIC's business strategy suffered a blow. However, the English company was not yet ready to give up and lodged a complaint with the Commission on 18 February 2000, again claiming that the Original Rule infringed Articles 81 and 82 TEC. In its decision, the Commission relied to some extent on the CAS award, adopting the definition of the relevant market or confirming that the Original Rule could not benefit from any 'sporting exception'. As far as the object of the Original Rule was concerned, the Commission articulated that the rule was not intended to distort competition, but rather to ''avoid conflicts of interest that may arise from the fact that more than one club controlled by the same owner […] play in the same competition''. With respect to the Original Rule's effect, the Commission referred to the Wouters case in which the European Court of Justice held that an agreement between undertakings or a decision of an association of undertakings restricting the freedom to act may nevertheless fall outside the scope of Article 81 TEC, provided that its restrictive effects are inherent in the pursuit of a legitimate objective. Applied to the case before it, the Commission ruled that the restrictive effects of the Original Rule were ''inherent in the pursuit of the very existence of credible pan-European football competitions''. Consequently, the Commission found no violation of Article 81 TEC. Turning to Article 82 TEC, the Commission briefly noted that ''if one were to assume that UEFA enjoys a dominant position in whatever market, the fact that UEFA has adopted such a rule does not appear to constitute in itself an abuse of dominant position''. It is quite intuitive that the aim of preserving the integrity of the UEFA club competitions should outweigh the restriction introduced by the Original Rule which essentially rendered owners of high-level European clubs unable to acquire controlling interests in similar clubs. However, the fact that the Original Rule appeared bullet-proof under EU competition law does not mean that it was entirely without flaws. As will be seen in the second part of this blog, UEFA later decided to make the Original Rule more stringent since it realized that even if an individual or legal entity does not have de jure control over a club, it may still be able to exercise de facto control over such club. RB Salzburg were eliminated by HNK Rijeka in the third qualifying round. ENIC is currently a majority shareholder of the English top-flight club Tottenham Hotspur. Among the clubs listed, Yokohama Marinos is the only club in which the City Football Group holds a minority stake (20%). Furthermore, Manchester City have a formal cooperation agreement with Dutch side NAC Breda. The Pozzo family also owned Spanish side Granada FC, before selling the club to a Chinese firm in 2016. UCL Regulations 2015-18 Cycle, 2017/18 Season, Article 5.01(c)(iv). According to the CAS, the fact that UEFA enacted the Original Rule shortly before the start of the 1998/99 season contravened the principles of good faith, procedural fairness and legitimate expectations. See CAS 98/200 AEK Athens and SK Slavia Prague / UEFA, Award of 20 August 1999, p. 5. CAS 98/200 AEK Athens and SK Slavia Prague / UEFA, Award of 20 August 1999, para. 48. Ibid. para. 83. 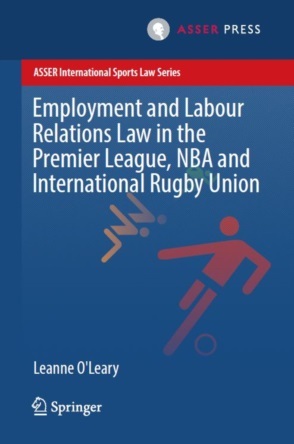 According to the well-established jurisprudence of the European Court of Justice, ''the practice of sport is subject to [EU] law only in so far as it constitutes an economic activity''. See Case 36/74 Walrave  ECR 1405, Judgment of 12 December 1974, para. 4. See also Case C-415/93 Bosman  ECR I-4921, Judgment of 15 December 1995, para. 73. On the 'sporting exception', see also Richard Parrish and Samuli Miettinen, The Sporting Exception in European Union Law (T.M.C. Asser Press 2008). AEK Athens and SK Slavia Prague / UEFA (n 8) paras 101-104. According to the European Court of Justice, ''the concept of an undertaking encompasses every entity engaged in an economic activity, regardless of the legal status of the entity and the way in which it is financed''. See Case C-41/90 Höfner  ECR I-1979, Judgment of 23 April 1991, para. 21. AEK Athens and SK Slavia Prague / UEFA (n 8) para. 88. Bosman, Opinion of Advocate General Lenz delivered on 20 September 1995, para. 256. AEK Athens and SK Slavia Prague / UEFA (n 8) para. 94. Ibid. para. 141. It should be noted, however, that this assertion was later challenged, albeit in the context of FIFA, by the Court of First Instance in the Piau case. The Court held in this case that the fact that FIFA is not itself an economic operator on the market for the services provided by players' agents was ''irrelevant as regards the application of Article 82 TEC, since FIFA is the emanation of the national associations and the clubs, the actual buyers of the services of players' agents''. See Case T-193/02 Piau  ECLI:EU:T:2005:22, Judgment of 26 January 2005, para. 116. Case COMP/37 806: ENIC / UEFA  Commission, para. 28. Case C-309/99 Wouters  ECR I-1577, Judgment of 19 February 2002, para. 97. See Commission decision (n 23) para. 32.